There are places on the Earth where winter lasts almost 9 months. Yar-Sale is one of them. Located above the Arctic Circle, it is a small town with population about 5,000 people. 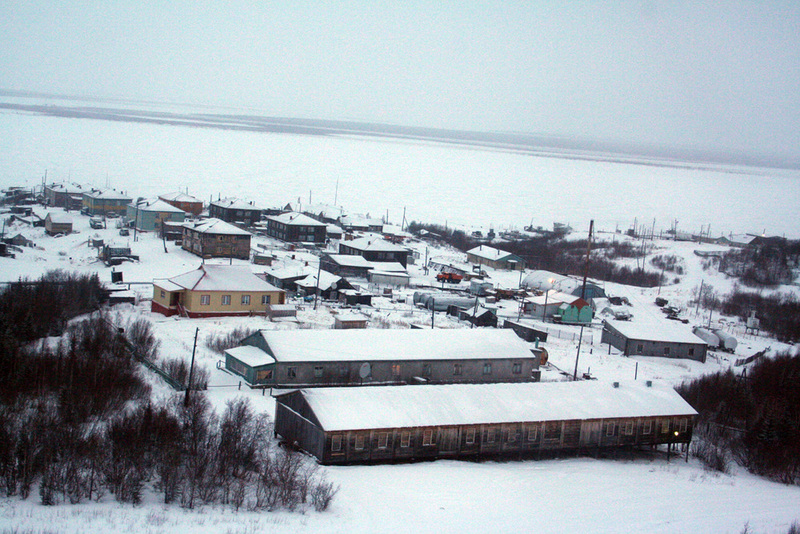 It’s the administrative center of Yamal Region, which occupies the whole Yamal Peninsula. It was founded in 1927 by Soviets. In 1932 it became the administrative center in order to the Nenets, nomads who live there. 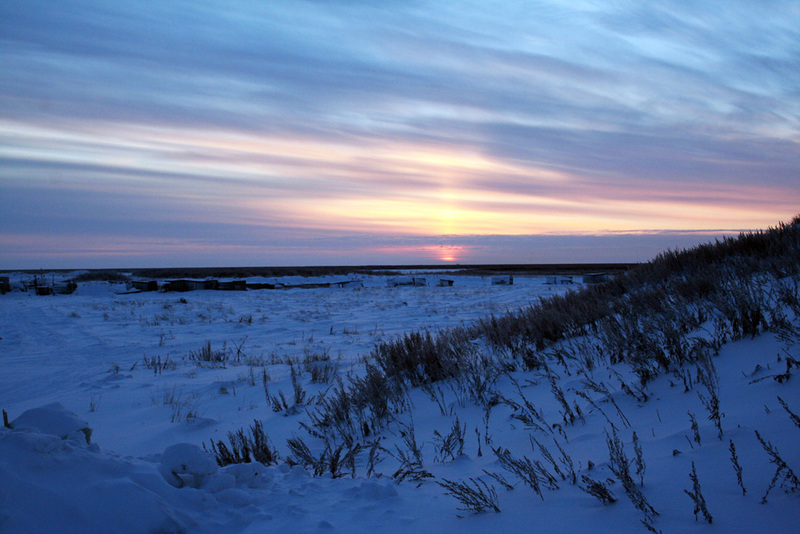 In the Nenets language, Yar-Sale means “Sandy Point” as it is located on a sand island surrounded by endless marshy tundra. My parents moved to Yar-Sale for several years to earn more money. As they worked in the educational sphere, they couldn’t make much money in the south. 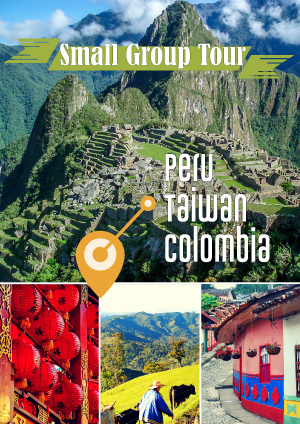 Because there is need of education for local nomads, you can easily get good bonuses to your usual salary because of the “hardship” status of the living in the area. I visited my parents for New Year’s. 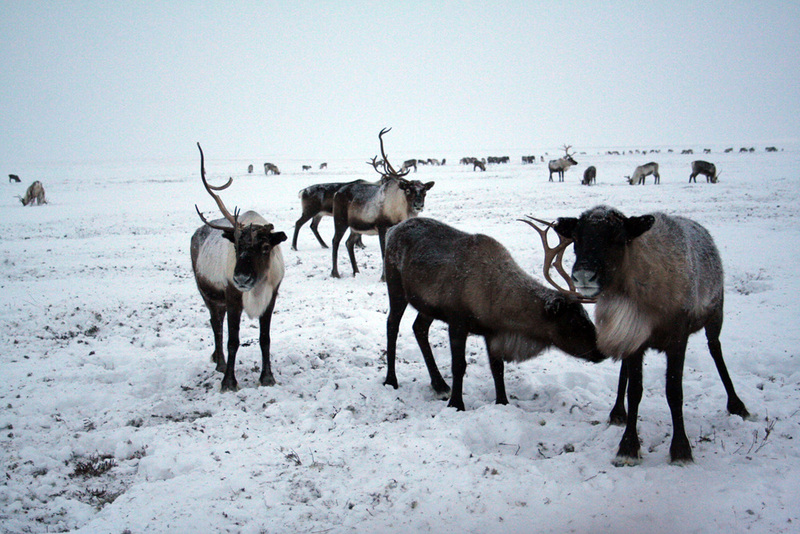 Visiting the northern nomads—the Nenets Nation—became the best New Year’s present. It was an incredible experience also because one of my classmates, Alexey Serotetto is one of them. He was glad to show me around and to introduce me the wild northern life of his nation. First of all, it is necessary to say that it is one the places in Russia where it is really hard to get to. I flew from Tyumen to Salehard. Then you have two options to get to Yar-Sale: helicopter or jeep with huge wheels. During the summer you cannot drive cars between towns because there are no roads, only helicopters and boats can be used. During the winter everything is frozen and only experienced drivers can find the right way. They prefer to drive when it dark because apparently they can see the way better than in daylight. 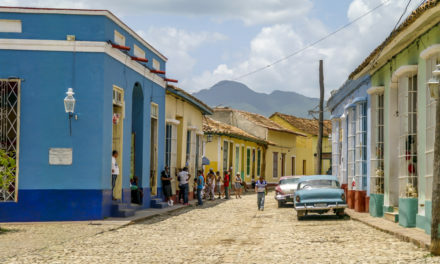 However, it is not a problem in this region, because sunlight appears here only for two to three hours per day in winter. Helicopter pilots, in contrast, prefer to fly during this short sunny time. I tried both means of transportation. As I landed quite late and I did not want to stay in Salehard for a night, I took an eight-hour jeep ride. Even though it is just 190 km (about 120 miles) it takes a lot of time to cross tundra. There is no road, snow covers traces of cars immediately and it is really easy to get lost. There is one stop on the way—the small town Aksarka—which is a good way to know you’re on the right path. The main purpose of the settlement is to provide local people with education and medicine. Every fall, children are collected by helicopter from the nomad’s camp and are brought here. They stay in a special school for nine months and then go back to their parents’ camps. Usually immigrants work in these organizations; most of the Nenets keep a traditional way of life. They have a lot of subsidies as they are indigenous peoples. As a result they can get additional equipment to make life a bit more comfortable. Only some of them try to get political power and defend their rights at the local level. They have apartments and from first glance have the same living conditions as Russian people. However, I realized that it is not really true when I visited my classmate in Yar-Sale. His apartment was organized as a traditional tent with lots of deerskins everywhere. They treated me with raw cut fish and instead of soup they offered me a bowl with reindeer’s blood. I liked it, by the way. Some Nenets fit into the modern era very well, and some of them can get in real trouble. For example, the biggest problem is alcohol. 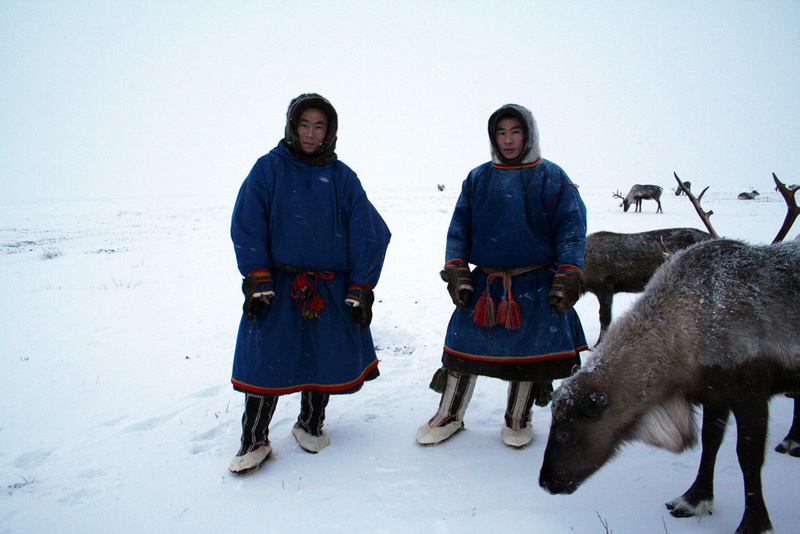 The Nenets have not adapted to it as we have and it’s really easy for them to become dependent on alcoholic. 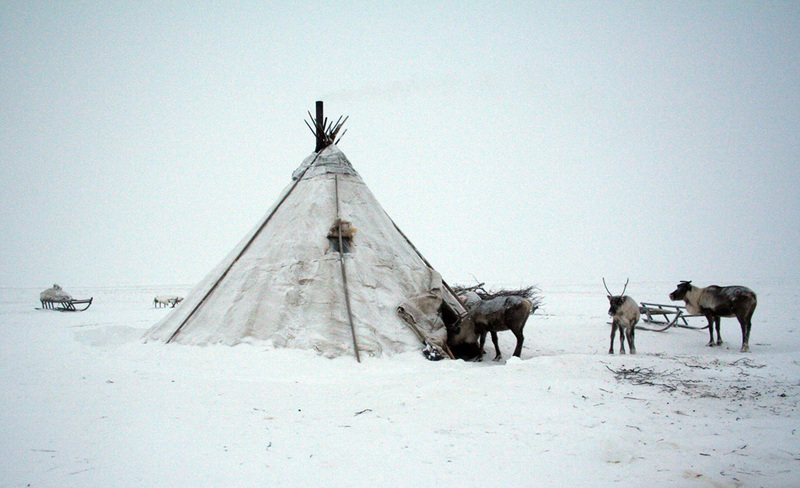 Nenets people are really hospitable and they really like to show how they live, entertain and treat their guests. I was told that my classmate’s family participated in a documentary series of BBC ‘Tribe’ when a BBC crew spent about one month with them to make an episode about their tribe. I had only one day to experience the freezing temperatures and their lifestyle was so unusual for me. My classmate invited me to visit his relatives that were in 20 km from the town at that time. We met in the morning, while it was still dark. They gave me natural clothes to be comfortable during the trip. They are made from reindeer skins and are really warm and comfortable. 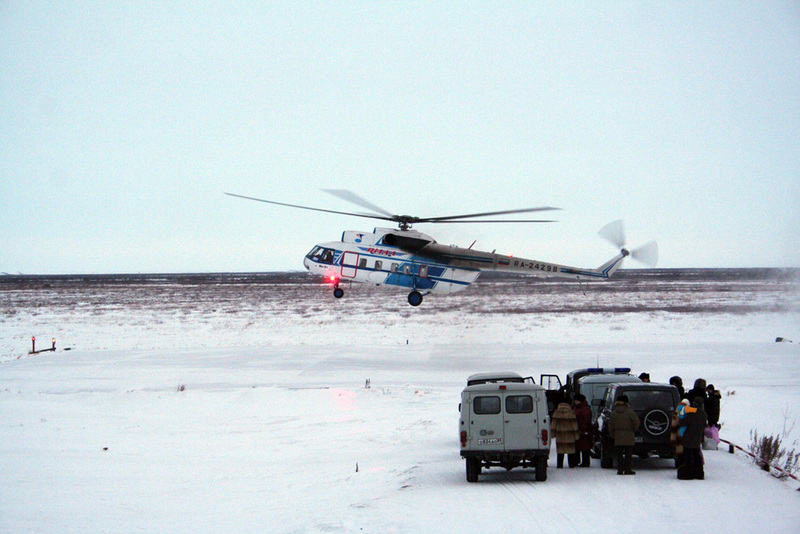 The Nenets usually travel by snowmobile from the town to their camps. 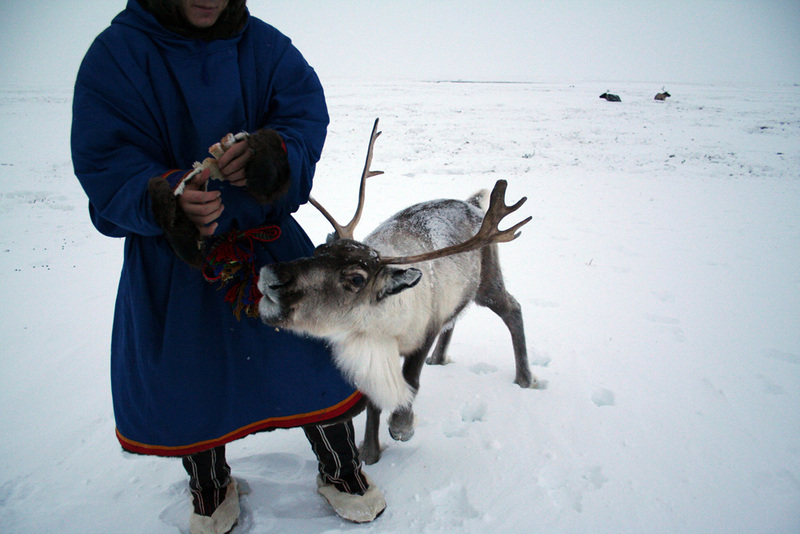 Camps are setup by families that overtake the reindeer in order provide them with the possibility to find food. As they eat reindeer moss, they need to move all the time. So sometimes people come and stay next to the town to get provisions and see relatives who have changed from the traditional lifestyle. It took about one hour to get ready and another to get to the camp. We wanted to arrive there when it wasn’t dark so we didn’t have much time. It was amazing for me how the Nenets can find the right direction in the tundra. It is a completely white plain and monotonous landscape. Only sometimes there are some hills and small trees. When we were closer, we met the head of the family and he suggested we take a sled ride. The people that we visited didn’t have many reindeer. There were only about 300—they told us that is not a lot. They say that each of them has a special name and they remember each of them. Reindeer here are considered a holy animal for people. 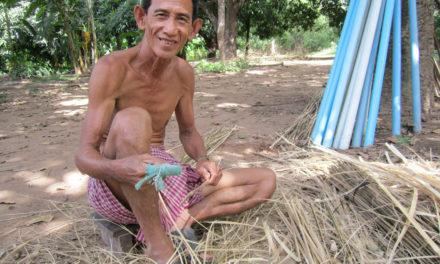 Life without them in such a severe climate is not possible; they provide food, clothing, and transportation. There was only one traditional tent (chum) where people usually stay. Women are responsible for the transporting the tent, as well as setting it up, and what goes on inside. 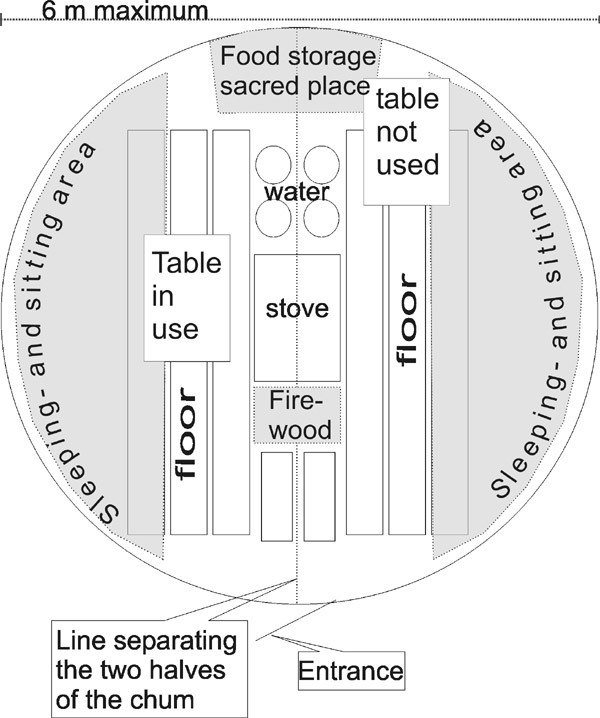 Usually there is an iron stove inside which helps to keep it warm. Inside there a lot of deerskins that are used as carpets and sleeping bags. The woman, host of the chum, treated us with different kinds of raw frozen fish and some vodka. As all Nenets people who complete school can speak Russian, we had nice conversation about their life and how they migrate from the north to the south during the winter and back during the summer. Toilets are situated away from the chums and separated into male and female areas. Their clothes are made in a special way to make it as comfortable as possible. However, I was told that when there is a snowstorm they use a robe to go outside because sometimes people can get lost. They cannot find their way back even if they go only a few meters away from the tent. Also the Nenets will often take a stick with them to the toilet to fend off any overly-friendly reindeer that are in search of salty fluids. 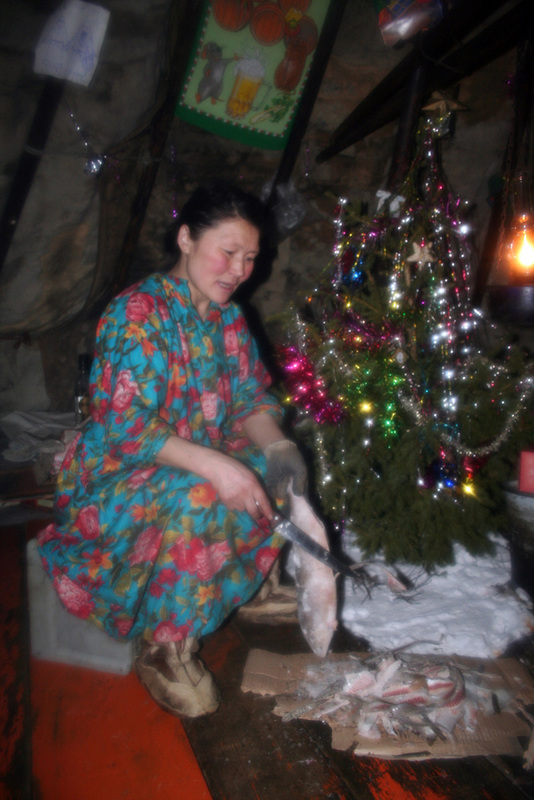 The hostess is cutting frozen fish in front of Christmas tree. In general, I was impressed with Nenets’ way of thinking. In the beginning I thought that I am going to meet uneducated people with who I do not have anything to talk about. However, I found out that they are incredible people who live in harmony with nature and who are completely happy to be there in such a cold and severe place. They told me how it is hard for them to live in small apartments, and how they miss the unlimited dark tundra, snow, frost, raw fish and meat. We came back when it was completely dark. I did not want to give back such warm and comfortable clothes because I was going to stay in Yar-Sale for couple days more, but I did. I was really happy that I had opportunity to understand these people who live in such a severe climate. It seems so crazy for us, people who are used to hot water from the tap and a heating system during the coldest days. I understood once again that people can get used to everything and that happiness depends only on our perception of situations and that the endless white plain is one of the most beautiful landscapes that I have ever seen. If you want to visit Yar-Sale, you need to have a special permission because this area is considered a pre-border area. I would suggest finding people who can host you there beforehand. Nelya Rakhimova grew up in the town of Tobolsk, Russia, and moved to Tyumen when she was 15. She has spent the last few years traveling and studying in various countries and has recently completed her Master’s degree in the United States on a Fulbright Scholarship. This is her second feature for GoMad Nomad. Thank you for all the information on your website about the far reaches of Russia which most of us will never get to see or visit. So much interesting history.